Where abouts are you chris, ill be coming down the A5 round Shrewsbury, from there i norm take the much wenlock road to work via kidderminster but not sure which way im going 2mo. Is it a massive detour for me to come via yours for the convoy? A huge detour for you as we are going North East from here, Cheltenham, up past Evesham. Sagarh may pick up on this as he is in Kidderminster. That said you are of course welcome to come here to join us but it's a long way off your route. Thanks Chris for taking the time & effort to organise the stand. The snacks & drinks were much appreciated. As always nice friendly meet. More would of been nice but still a nice day out. Had a great day today thanks everyone, and thanks Chris for organising it. Coming home was fun, during the heaviest of the rain on the M5, rex decided to throw a seal, seal?? no I meant windscreen wiper. The drivers side. Quick dap over to the hard shoulder to swap the passenger one and all good. You would think that motorway service stations, or at least their petrol stations, might carry spare wipers. Top day and some seriously gorgeous Jap modified kits there. Great weather and club banter too. Thanks all who came and special thanks to Chris for herding us and Dave for coffee and biscuits. Will post some photos later hopefully. Nice one for organising this Chris. Was a pleasure meeting you lot today! Always a bit nervous about club meets as the last club I was a part of weren't exactly social with each other so this made a nice change! Not sure which was my favourite car mod from our stand today. Chris' doors or naim22's rear light water feature haha. As I was the second car to go I jumped in it and as I went to turn her over I've never said the word's "please start first time" before so much! Whilst I don't have any issues with my car I had a feeling if anyone out of the club was going to breakdown it would of been my luck to be me. Definitely going to come along to some more meets now you guys have popped my first RXOC meet cherry. 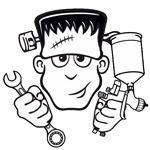 Rest assured, if your rex had failed to start we would of all dived in to help. Got some lovely sun burn on my face and back of the neck! Proper glad the weather held out and it was actually a really nice day for it. As Paul says, everyone would have dived in to help - altho what he isn't saying is that once you were back up and running their might have been a little banter! 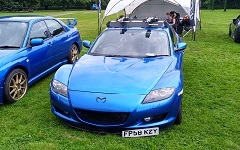 It'd be great to see you at one of the midlands meets - http://www.rx8ownersclub.co.uk/forum/vi ... 99&t=74849 - you're always welcome to come along. PaulAV wrote: As always nice friendly meet. More would of been nice but still a nice day out. 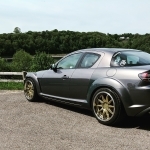 Perhaps more next year if we can shake a few more RX8 owners out of there garages! Looks like a good show, I might make it up next year. Reloy wrote: Had a great day today thanks everyone, and thanks Chris for organising it. Coming home was fun, during the heaviest of the rain on the M5, rex decided to throw a seal, seal?? no I meant windscreen wiper. The drivers side. Quick dap over to the hard shoulder to swap the passenger one and all good. You would think that motorway service stations, or at least their petrol stations, might carry spare wipers. And the sound from the passenger was? Glad you got home safe, thanks to you and Rachel for attending. But I guess that's what being the 'outsider' get you..
and our friends left out in the sunshine by their FB "friends"